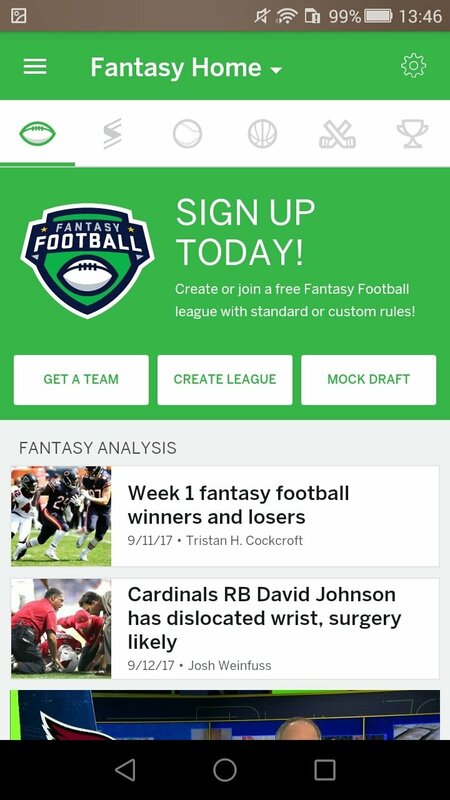 If you're a football fan, you're probably aware of the existence of online manager games of the likes of Fantasy Football and similar alternatives. Well, in the USA the fans of its main sports (basketball, ice hockey, baseball, and American football) can get their hands of apps to take part in similar games. One of them is the title sponsored by the sports channel ESPN, with which you can create your team with the different stars of each one of these sports. 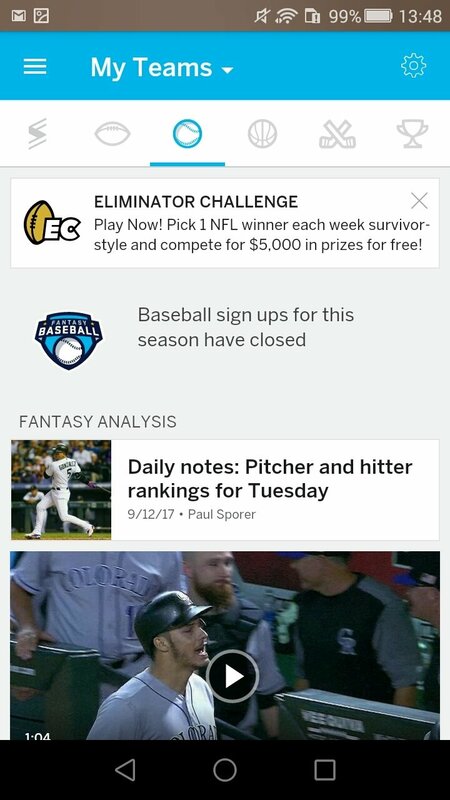 So, if you're an enthusiast of the NBA, NHL, NFL or MLB, don't hesitate to download ESPN Fantasy Sports right now. 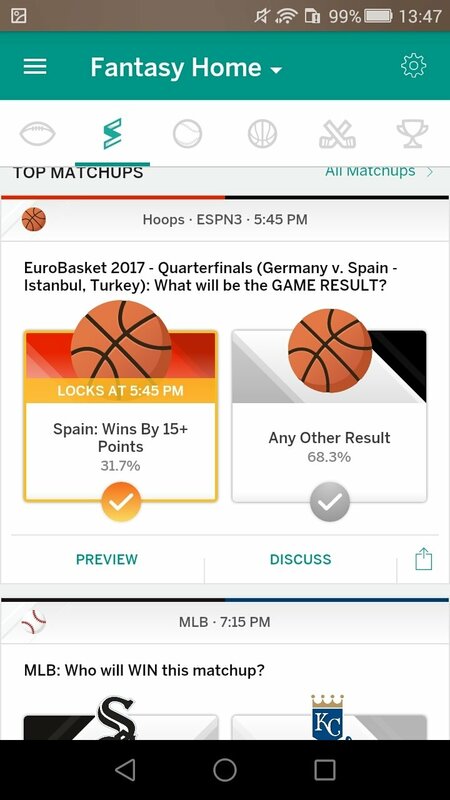 With this Android app, you'll have much more fun on each match day, as you'll have many more incentives to follow the competition with its results and standings, as well as the players that stand out the most. Prove your knowledge in different sports by winning the tournament. Compete in baseball, ice hockey, basketball or football leagues. 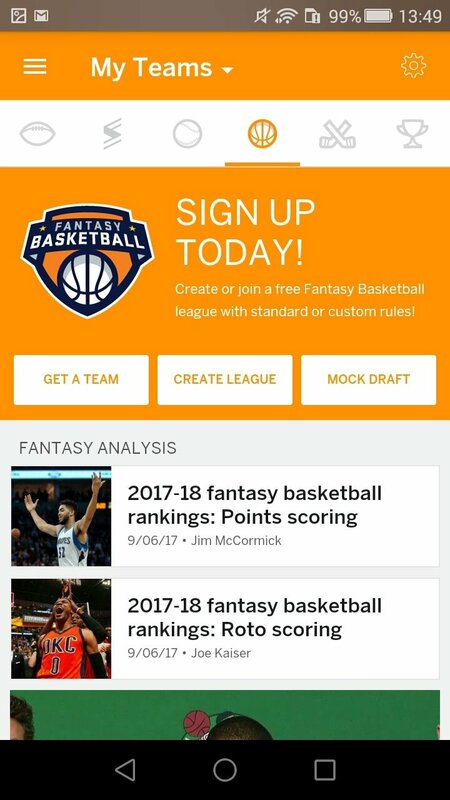 Create a league and play with your friends or join any existing one. Check the player rankings drawn up by ESPN's analyst, Matthew Berry. 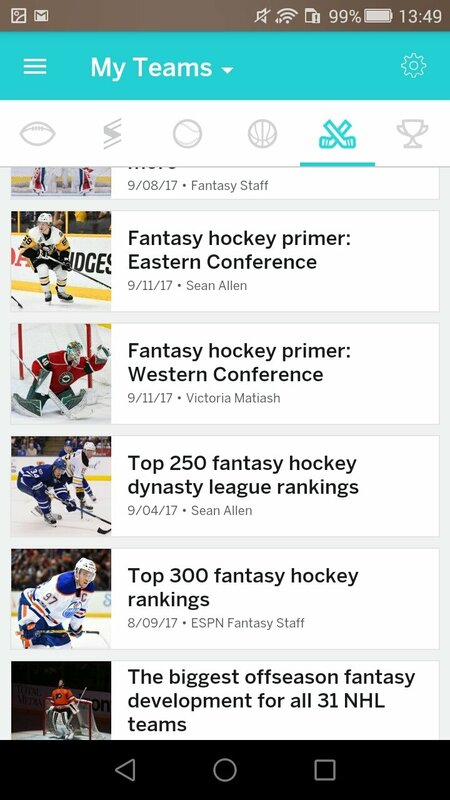 Follow your favorite fantasy teams but also real professional ones in real time. Customize your teams with logos. Receive notifications about the hottest news and the latest videos. 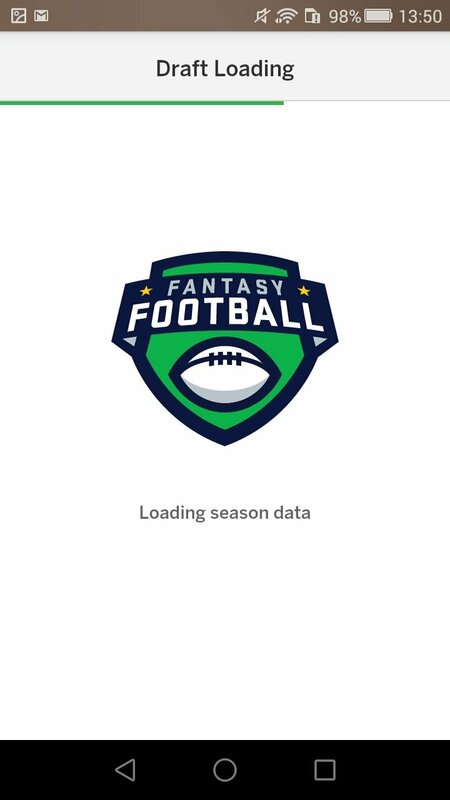 Receive weekly emails to follow up on the performance of your players. 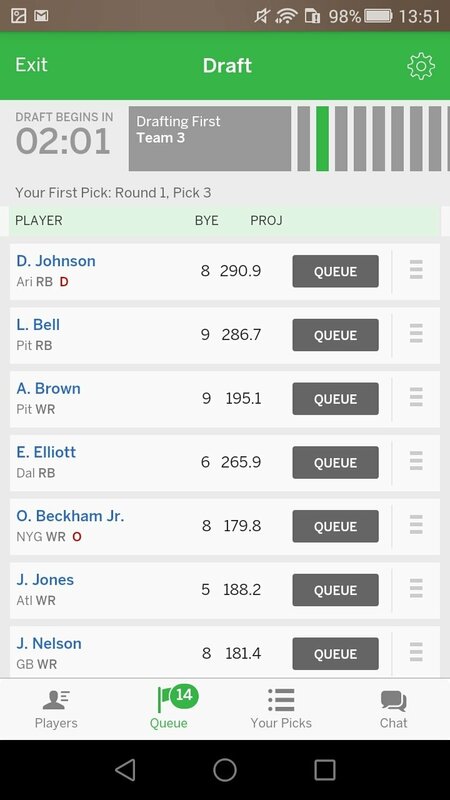 To play, you only need to log in via Facebook with an ESPN user account. Then it will be up to you to use different sources of information on social networks such as Twitter or specialized forums or media outlets to gain a competitive advantage over your rivals.